A very spacious live room, ideal for the recording of bands, small ensembles and choirs. 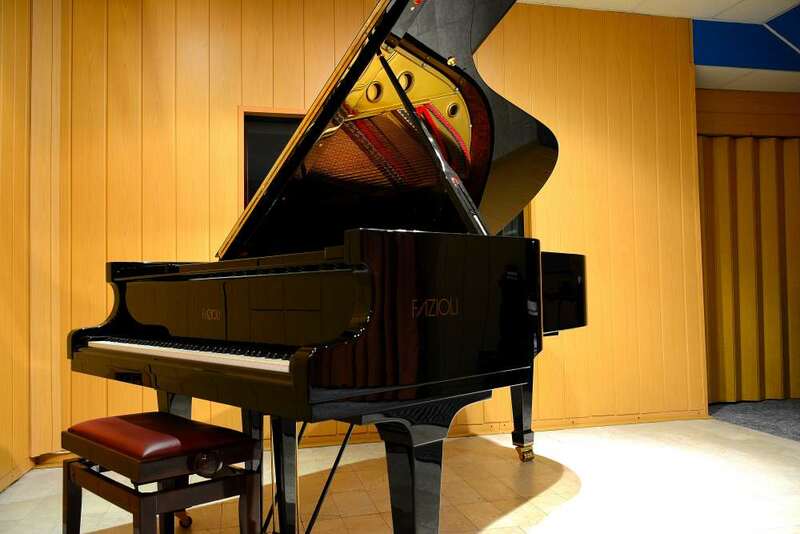 A breathtaking Fazioli F212 semi-concert grand piano, the only one found in a Greek studio. A side booth for the recording of drums, other instruments or vocals that need to be acoustically isolated from the live room.The two rooms share excellent visual contact. One of the coziest and most atmospheric control rooms in Athens, beautifully decorated with wood and stone. An inspiring environment for music creation and production. 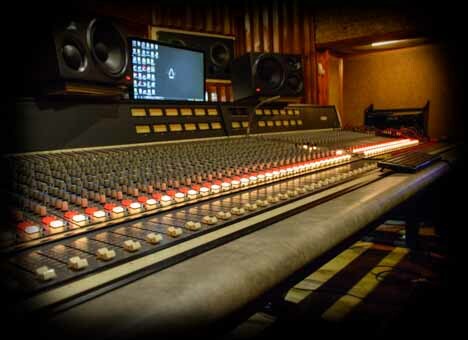 The centerpiece of the room is a classic DDA AMR24 large-format analog console featuring 84 inputs at mixdown. Designed by the legendary console designer Dave Dearden, this is actually the last AMR24 ever made. The desk is in pristine condition and sounds simply amazing! Both analog (2” tape machine at 24 tracks, 15/30 ips) and digital (limitless tracks up to 192 kHz) recording. A large collection of top microphones, mic preamps, outboard gear and backline. Access to an amazing hire list, complete with vintage and (in many occasions) extremely rare equipment, including classic analog key boards, drum machines, guitars and guitar amps, very expensive stomp boxes and tape echos from the ’60s, ’70s and ’80s. World-class quality reference studio monitors (3 pairs) and room acoustics.